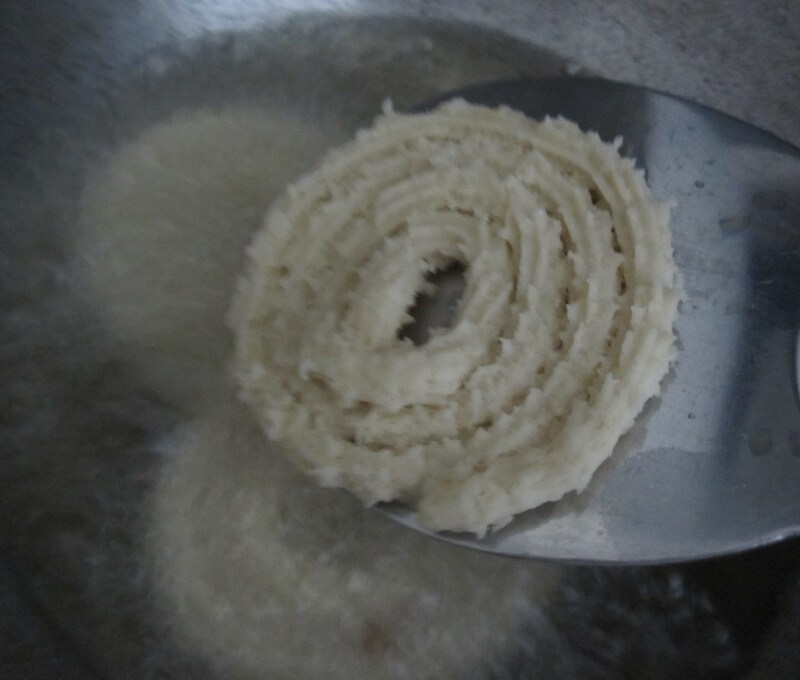 Murukku in tamil and chakli in kannada and marathi and chakri in gujarati is very popular for its different shapes and crisp fried taste. 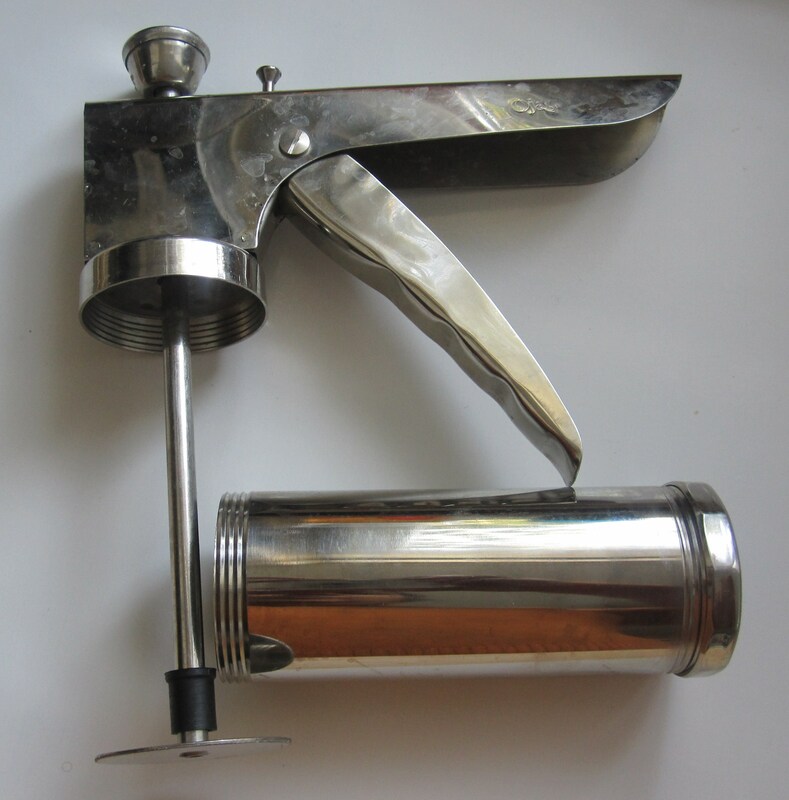 It is also handy due to its storable convenience. Nowadays, even in india, families prefer to get them from savoury shops to distribute for deepavali and even to send abroad to their children. and many more with a little variation like ribbon pakoda, kara sev and so on. Murukkus can be magical for first timers – especially first time makers. Be it the ones made by the murukku maker, or the hand-made kai-murukkus, making murukku is an art by itself. Tasting, without knowing when to stop can be another art worth mentioning! Not getting into any gender bias, boys seem to fare better in this art! Sitting with aachi and amma to see the murukkus being made by hand on plastic sheets or the murukku maker ones directly into oil with elegant expertise, I have experienced the joy of viewing, tasting and once in a while trying to make some too. 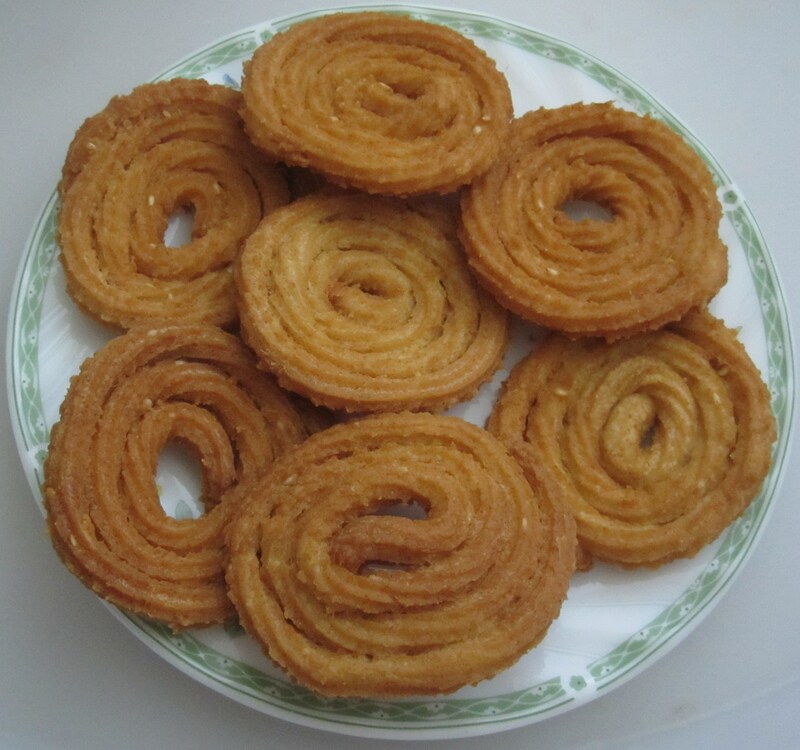 They are quite easy to make – with the murukku maker and some patience – you can surprise your family and yourself too with these excellent crispies. The rice flour used to be prepared by a long process of soaking raw rice, then drying them in a clean white cloth in a shady place at home, and later milled. With easily available rice flour in the indian markets abroad, this has become easier, though nothing to match the home-made rice flour. 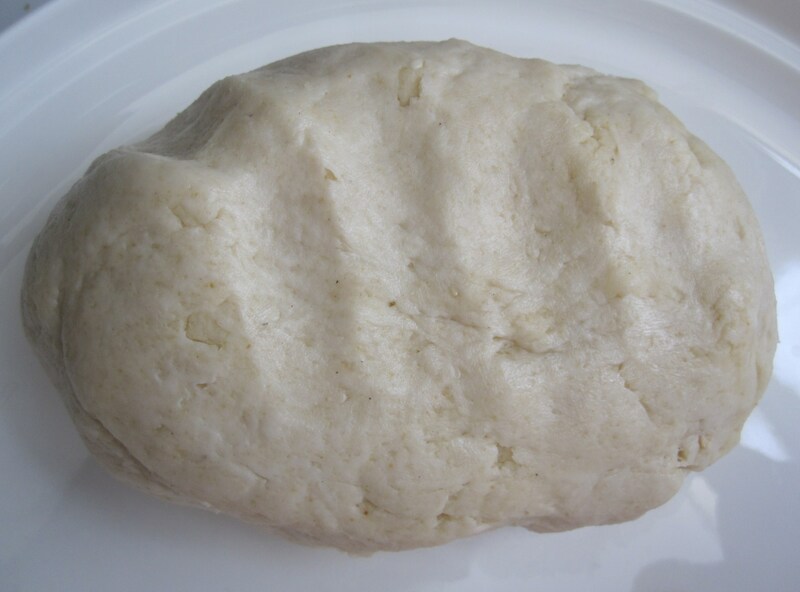 Of course, the urad flour is not available so easily in the markets – that has to be done at home. I have always used the flours sent by amma, this time I thought I would try making urad flour at home but had the milled rice flour from chennai! Making urad flour was not at all a tedious one! 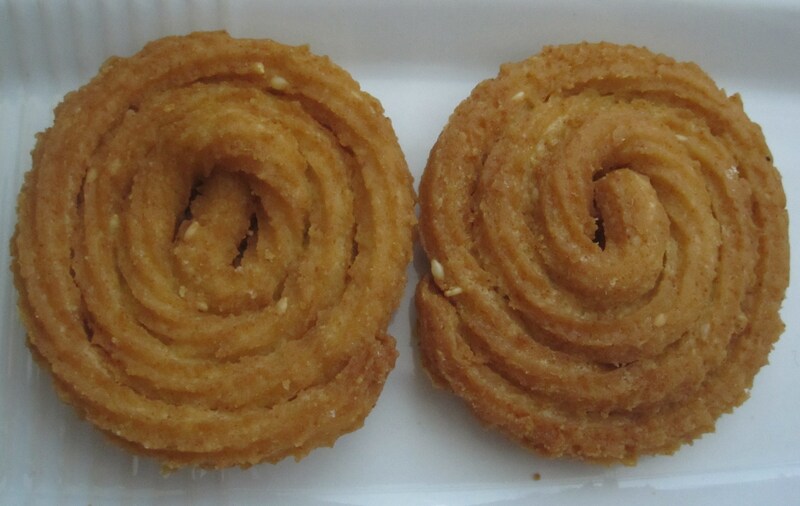 Deepavali snacks are incomplete without these different kinds of murukkus. Sieve it and keep aside. The dough should neither be too tight nor too loose. 8. Let them cool and store in an air-tight container. Previous Post Susiyam – Deep fried lentil-jaggery sweet balls! Next Post Sweet and Special Somasi!